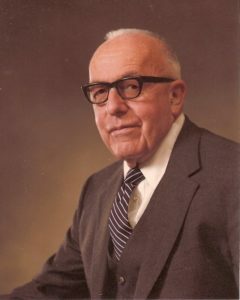 Edward Hosmer Bradford was born June 29, 1911 in Andover, Massachusetts, the son of Roy H. and Bertha Swanton Bradford. He graduated from Punchard High School, Andover, Mass, in 1930. 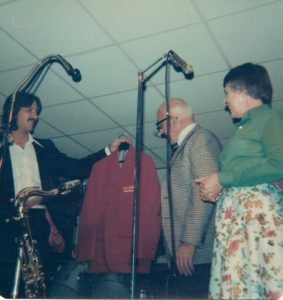 He graduated from Lowell Technological Institute, now the University of Massachusetts at Lowell with a Bachelor’s degree in Textile Engineering in 1935. During the summer, he worked at Pacific Worsted Mills as a drawing frame operator. 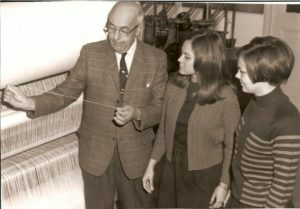 After graduation, he held managerial positions in the textile industry at Manville­Jenckes Corporation from 1936 ­1945 in Rhode Island, where he rose to the position of assistant superintendent of yarn manufacturing. He moved to Crown Manufacturing Co., Pawtucket, Rhode Island from 1945­1952. There he served as assistant superintendent and became “Director of Education” and led “Crown College”, an in­house extension educational project. 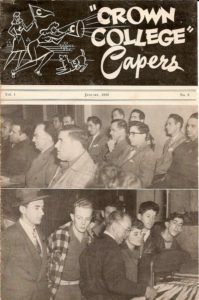 The “Crown College” Capers, an in­house newsletter showed how seriously the company treated people and training. He moved again to High Rock Knitting Mills, Inc., Philmont, Columbia County, New York, where he was superintendent. Outside the classroom, he was a long time member of White Memorial Presbyterian Church, a member of the Adult Church School class and a former leader in Keenagers, a retirement group sponsored by Raleigh Parks and Recreation. He also served as Scoutmaster at the troop located at White Memorial. In retirement he enjoyed volunteer positions as President of SHHH, Self­Help for the Hard of Hearing, and Hospice of Wake County. 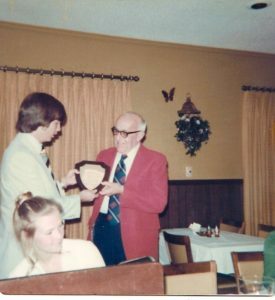 Later as a resident of Abbotswood, he served as president of the resident’s association and volunteered with the YMCA after school programs at Durant Elementary School. He was married to Eleanor Brown Bradford, also of Andover, Mass., and had a son, Steven Bradford of Albuquerque, New Mexico; and daughter, Mrs. Susan Bradford Fairfax of Raleigh. Ed Bradford died December 24, 2003. Obituary, Raleigh News and Observer, December, 24, 2003. Gary W. Smith, personal communication, May 2012.